Students studying music at Middlesex University are getting hands-on ‘music on the blockchain’ workshops for the first time this year. Middlesex is the first higher education institution to introduce this powerful new tool into its music courses. As outlined in the ‘Music on the blockchain’ report released by Middlesex's Blockchain for Creative Industries cluster earlier this year, blockchain could allow for a single database for all music copyright information, as well as enabling faster royalty payments. The technology could also make it easier for musicians to keep track of money they are owed and give them greater access to capital through online contracts and crowdfunding. The findings of the report have been integrated into music courses at Middlesex to ensure students benefit from the latest technology and are prepared for potential developments in the industry. Middlesex students are using blockchain technology developed by BigchainDB, a company experienced in developing secure databases for managing intellectual property and financial data in a variety of industries. BigchainDB are using three key blockchain characteristics in their databases, namely immutability, decentralisation and the creation and transfer of assets. Any registration on BigchainDB – in this case a piece of music – becomes an asset, creating a permanent and unbreakable link between the artist and their work. Marcus O’Dair, Senior Lecturer in Popular Music at Middlesex, says learning to use blockchain technology now could be highly beneficial to his students in the future. “There has already been lots of interest from Middlesex students as we taught blockchain technology last year, and we are excited to be stepping things up this term by teaching students how they can use it to lock in attribution – and why they might want to do so,” he says. Ben Webb-Taylor, a BA Popular Music student, has already uploaded one of his tracks to the blockchain. “It was very simple to use and it feels exciting. This is something we talked about last year, so it’s great to go from the theory to actually doing it,” he says. Trent McConaghy, CTO of BigchainDB, believes the company will be instrumental in shaping how blockchain is used going forward. “We envisage that BigchainDB will become a cornerstone of blockchain technology for securing IP rights in the future. 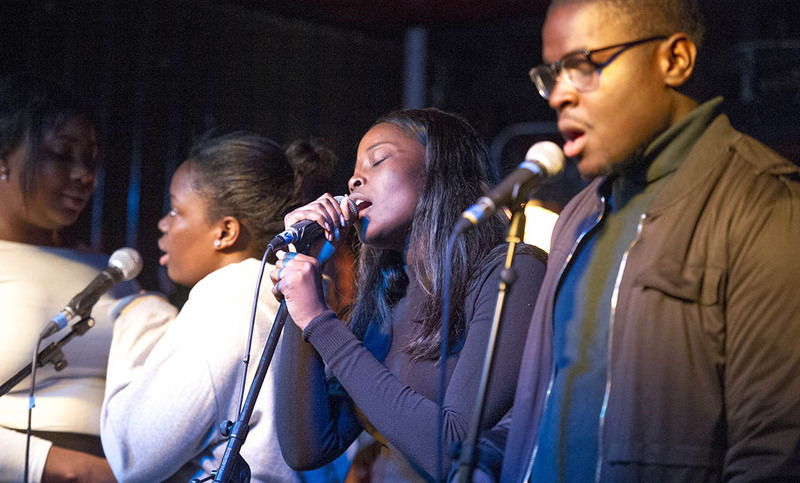 Find out more about studying music at Middlesex.